Flying high above Brazil, I got a feel for the strange contrasts of the country. 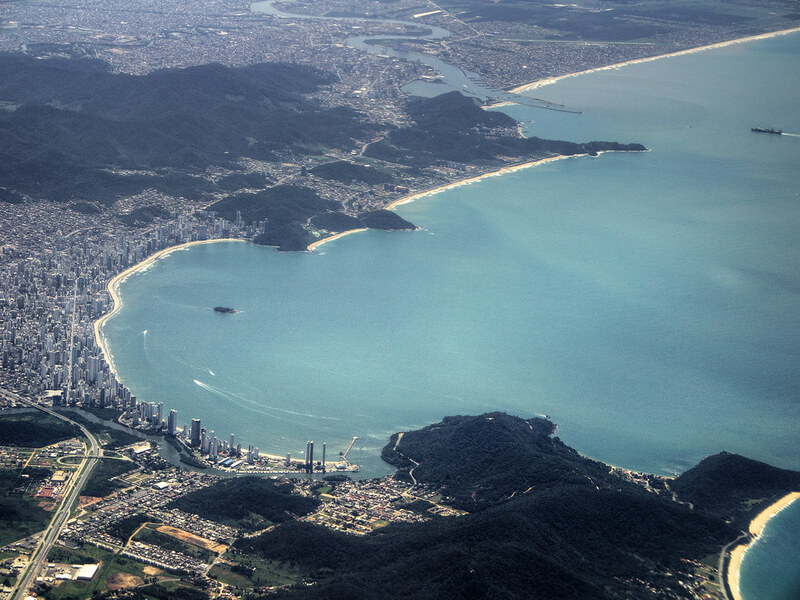 Over the interior, I saw mostly mountainous jungle and farmland; as we neared the coast (as in today’s shot), I got to see more of the urban side of modern Brazil. In the southern part of Brazil, where the climate is Mediterranean (much like California), the same pattern of “intense urbanization adjacent to vegetation-carpeted hills” seems to predominate.